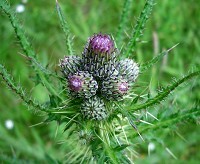 Marsh Thistle is a very common weed in Britain. 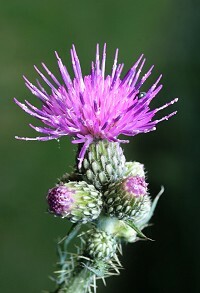 It thrives in damp woodland, meadows and marshes. 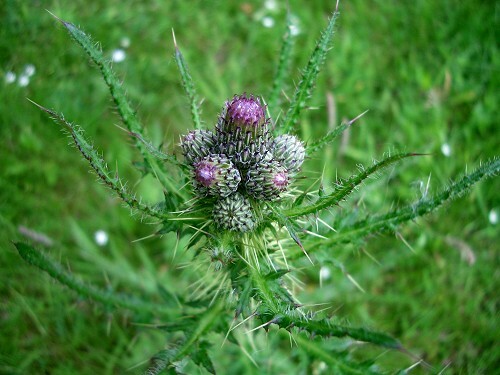 This thistle is usually taller than other thistles, growing to about 150 cm. 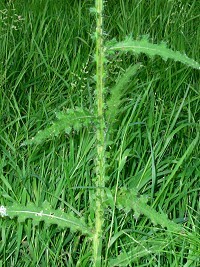 The stem is winged and spiny. The flowerheads are purple, 1 to 1.5 cms across, which is smaller than the flowers of the Spear Thistle. 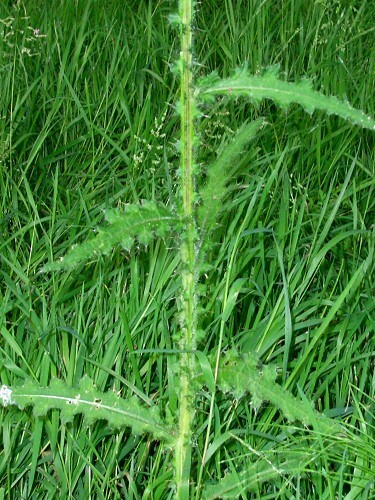 The leaves are long, narrow and spiny.